Audiobook Summary: Hinduism is practiced by about 80% of India's population, and by about 30 million people outside India. But how is Hinduism defined, and what basis does the religion have? 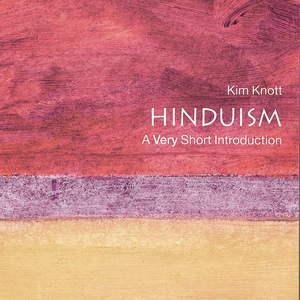 In this Very Short Introduction, Kim Knott provides clear insight into the beliefs and authority of Hindus and Hinduism, and considers the ways in which it has been affected by colonialism and modernity. Knott offers succinct explanations of Hinduism's central preoccupations, including the role of contemporary gurus and teachers in the quest for spiritual fulfillment; and the function of regular performances of the Mahabharata and Ramayana - scriptures that present the divine in personal form (avatara) and provide models of behavior for everyone, from kings and warriors to servants and children, and which focus on the dharma, the appropriate duties and moral responsibilities of the different varna or classes. The author also considers the challenges posed to Hinduism today as it spreads far beyond India, and as concerns are raised about issues such as dowry, death, caste prejudice, and the place of women in Hindu society.